Our Unity Meditations continue this SUNday. Our Divine Team and Higher Levels are directing us to unify in larger numbers during this transformational passage. Everyone is welcome to join in and do the good work, right now. 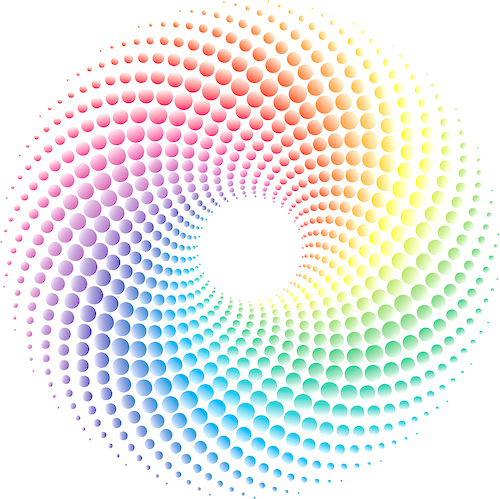 We connect in this way to assist in the acceleration of the Ascension timelines, support our individual process, increase telepathic communication and awareness, and anchor the New Light coming to the planet right now. Thousands are participating and we request your light! 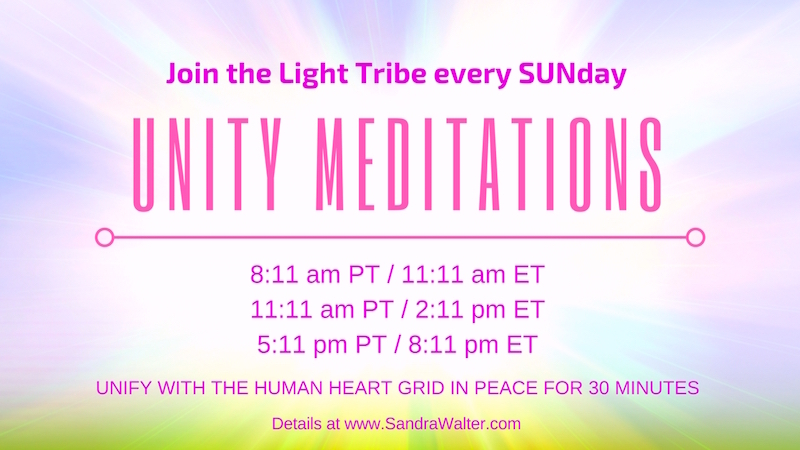 Join from wherever you are during these three 30-minute windows each SUNday: 8:11am PT, 11:11 am PT, and 5:11pm PT or meditate anytime on SUNday to feel the effects and add your energy to this collective intention of service. Meditation of any kind assists: Meditate in stillness, focus on Pure Source embodiment and Global Peace, or use the guided Christ Light Activation meditation for expansion (many are experiencing higher alignments with this – free on youtube or mp3 via the download link below). Not a meditator? Have a gratitude walk in Nature, or visualize global harmony. Adding your heart light intentions in the strongest way you know how is all that is needed. Let us unite in peace with the intention to assist Unity/Christ Consciousness. Sandra is the big sister to my soul. Her work is the blessing of one who has gone before who can share, guide, and intuit. Her work seems to partner ones own journey at each step of the way. She brings intimacy and love to a most remarkable journey. The course clearly and sensibly guides, which enables one to stay on track. Her work is the most remarkable gift to HUmanity at this time. A true authentic Wayshower, who speaks the language of love through riveting and evolutionary knowledge.